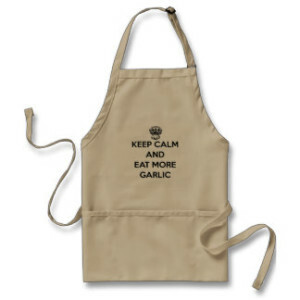 Take care when growing garlic in warm climates when selecting suitable varieties. Garlic is a very hardy plant that will grow in a wide range of climates but care should be taken when first selecting garlic varieties to grow, especially if you live in a warmer climate. Garlic originated in Central Asia and many varieties — Rocamboles and Porcelains in particular — still prefer and thrive in climates with very cold winters and relatively mild summers. Hardneck garlics tend to struggle in warmer areas, with softnecks usually faring better. Garlic will survive virtually anywhere but growers are primarily concerned with the size and health of the bulb or head of garlic that is produced, as that’s what is eaten or planted to grow the next crop. Garlics that prefer colder climates will often still grow in warmer regions but the bulb size will be far smaller than it normally would and they may be less robust and disease resistant. Garlic needs vernalization (cold weather) in the winter, with the bulbs beginning active growth and development when the length of day is over 13 hours and air temperature is about 70F and soil temperature is about 60F. Areas with very mild winters may not provide the vernalization needed by many garlic varieties. 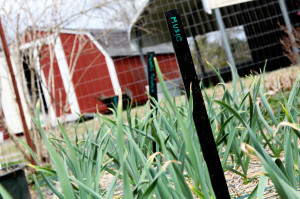 Most garlic varieties will halt bulb growth and development when soil temperatures reach 80F to 90F; if you live in an area when this happens early in the season, your garlic simply won’t have as much time to actively grow and develop when compared to areas where it takes much longer in the season to hit that threshold. Like many things, though, there are always exceptions, especially with micro-climates and unique growing conditions. Each growing season is different and many garlic varieties will adapt over time to local conditions. There’s no fast and hard rule as far as growing zones for growing garlic in the U.S. but in general most garlics do best in Zone 5 or lower. Growers in Zone 7 and above will likely do best by focusing on some of the garlics listed below for warmer climates. This info is intended as a general guide but talk to local garlic growers and farms if you can as they’ll always have the best information and tips for growing garlic in your area. Creole garlics such as Ajo Rojo, Creole Red, Burgundy, and Pescadero Red are often the best choice for growers in Zone 7 and higher. Creole garlics were brought to North America from Spain and they generally thrive in areas with mild winters and early, hot summers. 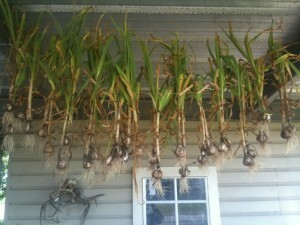 Creole garlic grown on the Gulf Coast – Photo courtesy of Square Foot Gardening. Many Asiatic and Turban garlic varieties also do well in warm climates, with the added bonus of providing you with fresh garlic early in the season as Turbans and Asiatics typically mature well before other types of garlic. If you do want to try Porcelain garlics, growers have reported success with Georgian Crystal and Romanian Red, with Music also often performing well in a wide range of climates. Softneck garlics such as Thermadrone, Lorz Italian, and Italian Late also generally do well in warm southern climates. The only garlic type that seems to universally struggle in warm climates are Rocamboles, as they need cold winters and cold springs to consistently grow well. Most garlic types will tolerate a wide range of growing conditions but Rocamboles are known for being finicky and thriving only in Zone 5 or below — a shame for Southern growers as Rocamboles are some of the tastiest garlics around. But don’t be afraid to experiment when growing garlic in warm climates, especially if you’re only looking to produce a relatively small amount of garlic for personal use. Undersized bulbs will often still be very tasty, so all is not necessarily lost if you live in the deep south.